Were you able to get in an order for Google’s Nexus 6P? If not, I hate to break it to you, but your chance is gone for the time being, at least through the Google Store. Google has apparently sold through their initial inventory and is now listing the device as “Currently out of stock.” Interested parties can only join a waiting list to be notified of future inventory refills. That means they sold through all three colors and all three storage options in just a couple of weeks. However, we don’t know if they sold millions of them (probably not) or thousands (likely). 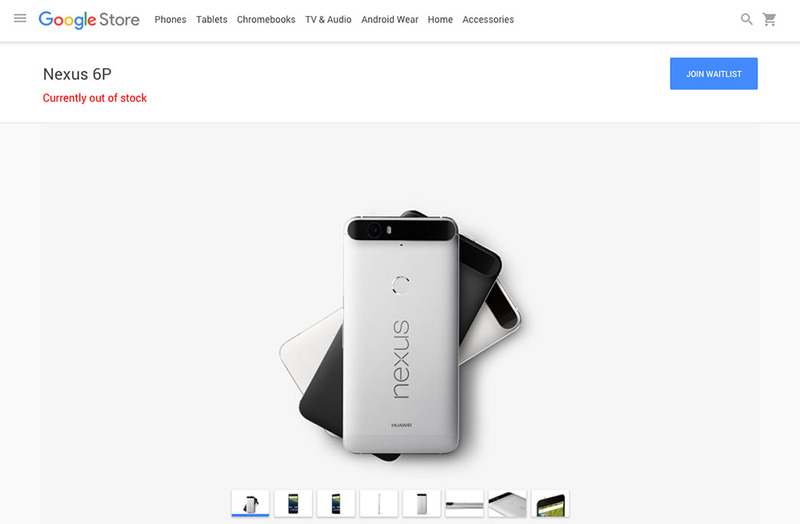 We also still don’t know when original orders will ship, even though the Nexus 5X starting shipping this week. Don’t worry, it’s not all bad news! Huawei is still selling the phone in Aluminium or Graphite and in all three storage options (32, 64, 128GB) at their own store. So, feel free to place those orders outside of Google’s own marketplace.